Includes 18 CE Hours & A Copy of Aesthetics Exposed, Mastering Skin Care In A Medical Setting And Beyond By Terri Wojak. Live hands on with instructor approval. In accordance with Illinois State Law, True U does not offer CE Hours for Laser courses. 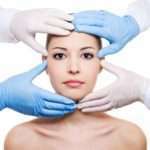 True U does not promote estheticians working past their scope of practice but to learn the theory on Cosmetic Medical procedures to manage skin safely and effectively. **Courses can be taken individually.